The two friends knew they had to make the space for art in the San Fernando Valley. 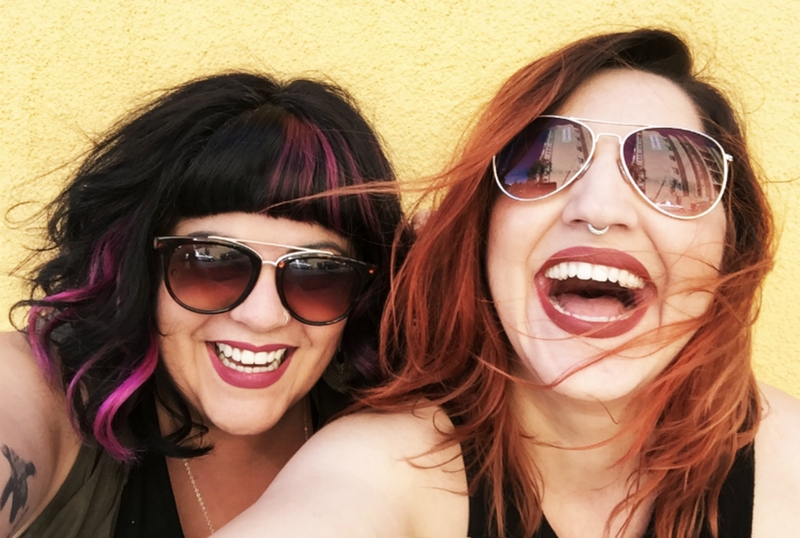 They went on to do just that with 11:11 A Creative Collective, a non-profit dedicated to fostering art projects and events in the San Fernando Valley. Nearly a decade after that fateful art show, Stone and Renteria are sitting inside the taproom of San Fernando Brewing Company, one of the handful of microbreweries now scattered around the 818 landscape, talking about their next big event. 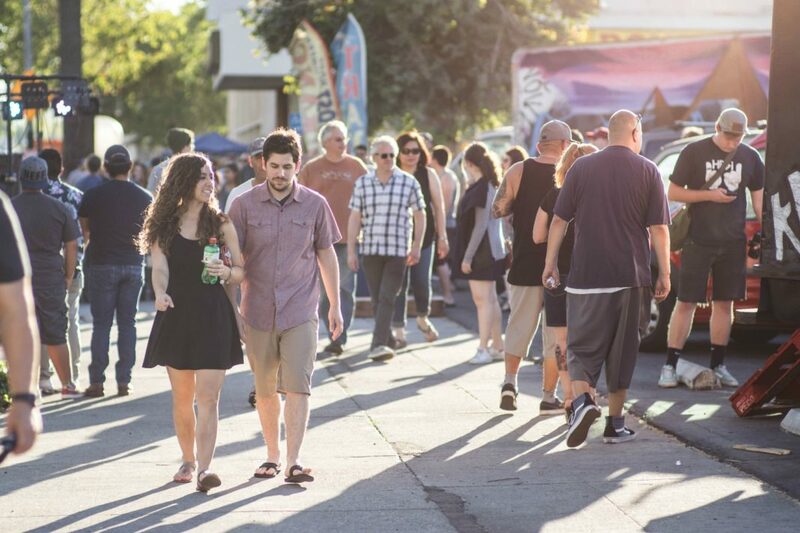 The third annual Reseda Rising Art Walk and Night Market is set to take place on September 29 at Sherman Way and Lindley Avenue. This year, there will be a light installation from LightRiders and an “Enchanted Forest” built by artist Cassie Zhang. Gr818ers are hosting dance battles and the SFV Zine Fest will be happening here too. Fartbarf is headlining the music stages, and a beer garden will feature local brews. Renteria grew up in southeast Los Angeles, but when she was 18 her family moved to the Valley. Save for a stint in Phoenix, it’s where she’s remained. “The Valley keeps pulling me back,” she says. Stone, is a second-generation Valley resident. “I’ve had an 818 number since the beginning of my phone numbers,” she says. Both are currently living in North Hollywood, and their work has taken them from Pacoima to Canoga Park. Championing arts in the Valley is their passion. Renteria even did her graduate work on the subject. She said that she delved into this research because of the lack of arts institutions in this section of Los Angeles. They’ve also earned pretty good support for 11:11 projects. Reseda Rising Art Walk and Night Market is sponsored by city council member Bob Blumenfield’s Reseda Rising initiative. 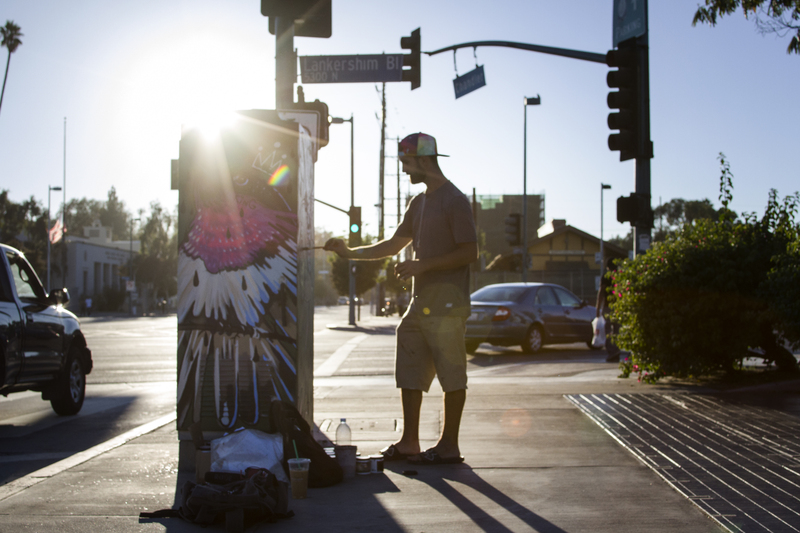 Recently, they brought together a group of artists to paint utility boxes in the neighborhoods that make-up Council District 2, a project done in connection with Councilman Paul Krekorian’s office and the Department of Transportation. Stone and Renteria took advantage of those tried-and-true Valley haunts. Their first local event was in the upstairs portion of a Studio City bar. “We packed the house,” Renteria recalls. “I think that was very indicative that there was an actual need for this to continue to happen.” For two years, they floated through different bars and restaurants with art. “We used those Valley-centric venues, what was available in the Valley, and transformed those into art spaces,” says Stone. Once, they took over a corridor inside Westfield Topanga, bringing in 330 pieces of art. Right before that happened, they launched the Canoga Park Art Walk inside empty retail spaces on Sherman Way. By 2013, they were ready to become a proper nonprofit. The Reseda Rising Art Walk and Night Market at Sherman Way and Lindley; Sat., Sept. 29, 5-10 p.m.